This MacBook Air 13 inch model has a crack in the LCD screen in the top corner. It caused blue and black splotches to appear in front of the image on the screen. These weird shapes are a sign of a damaged LCD panel. To repair the computer, we just needed to install a new LCD. 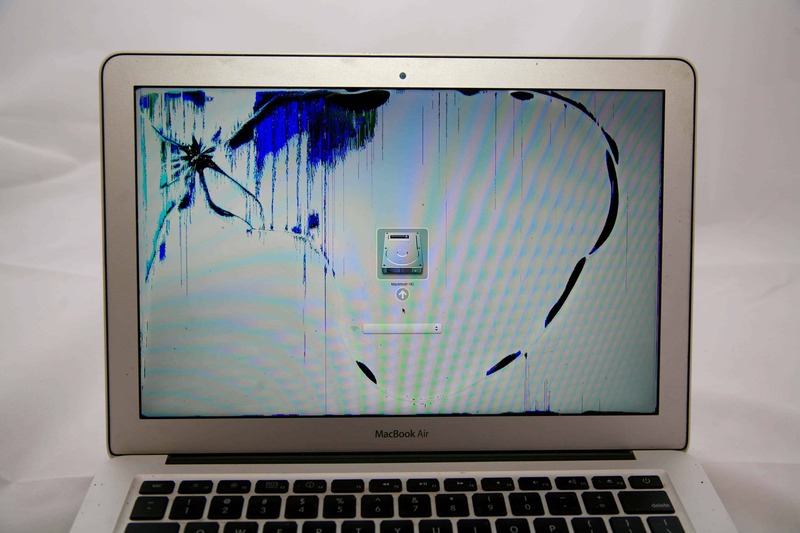 Once the new LCD panel was installed, this MacBook Air worked as good as new! The ability to replace just the component that is damaged really helps with the cost of the repair. A repair like this through the Apple Store or similar would cost around $475.